Hotels near Clare Island Ferry Co. The Harbour Mill - the unique hotel alternative on Westport's waterfront. Set within a beautifully reconstructed 18th-century cut stone mill, our four-star rated luxury apartments provide the perfect holiday retreat. Overlooking Westport Harbour and nestling in the shadow of the majestic Croagh Patrick, this is the ideal base from which to explore the west of Ireland's breathtaking coastline. The Harbour Mill is just a short stroll from the charming heritage town of Westport, voted 'The Best Place To Live In Ireland 2012.' With a 24-hour reception, Captain's Lounge Wine Bar, Kiddies Corner, babysitting service, free secure car parking, on-site sauna, steam room, Jacuzzi and complimentary access to Westport Leisure Park (located in Westport Town). 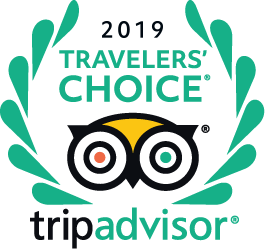 This year's winner of the 'No.1 Travellers' Choice 2012 for Families' awarded by TripAdvisor, we guarantee a holiday to remember. We were in 409, the balcony overlooked the water. 10/10 for everything - cleanliness, staff, location, roomy apartment with a dishwasher and washing machine. Highly recommended! We didn’t try the spa etc but looked lovely. Thank you. Hi are towels provided ? Yes plenty of towels provided and changed daily, if you are making use of the sauna and steam room large towels are provided at reception by one of the lovely staff. Hi Skinnyminny, there is parking down stairs in the guest parking. Is there WiFi in the apartments? It worked well for us, we had a harbour facing apartment. Hi what is the hotel like for disabled guests, bathroom facilities and space in rooms? Really sorry I haven't got a clue as we have no pets. You might have to call reception for that one. Enjoy your trip! "Built around a central courtyard"
"Best view not available in Courtyard apartments"
"Rooms on higher floors may produce less noise ." "Push the boat out and have a room overlooking the Bay - it's worth it."